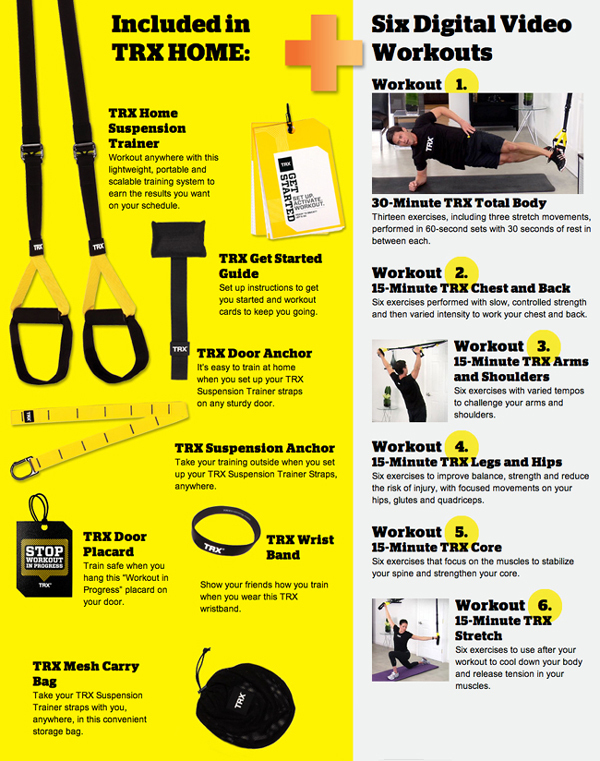 TRX System Experience a unique total body workout combining core stability, balance and strength training Revolutionary bodyweight training station combines variable-resistance bodyweight training, elements of instability, multiple planes of movement to train the entire body. 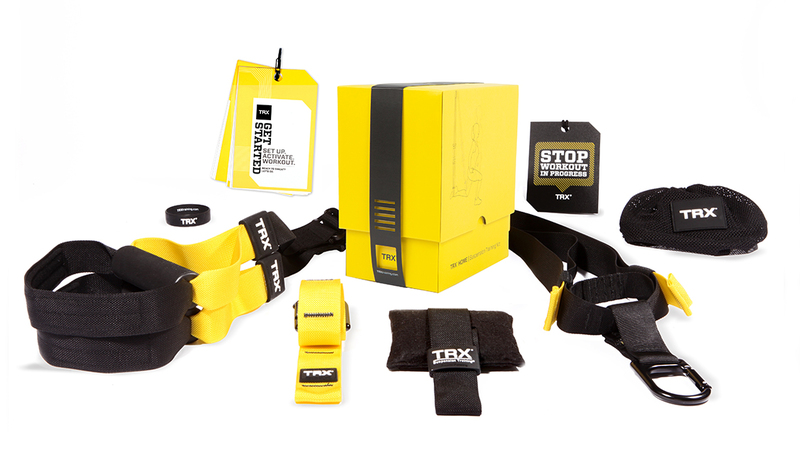 The TRX Suspension Anchor connects to beams, weight racks, fences and more. The patented suspension design delivers a fusion of strength, balance and core stability. Make your body your machine!